Phil Mizuno is a Canadian cosplayer who followed his heart, and is pursuing his passion to empower others through nurturing and creativity. He has been cosplaying for 3 years, and currently lives and creates his costumes in Toronto, Ontario (Canada). Phil has been able to share his cosplay with people from all over the world. With a large following in his social media platforms, he is able to inflience others from all corners of the Earth. 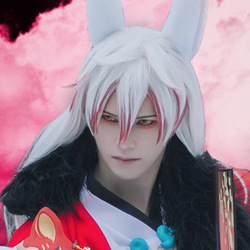 With his warming charisma and charm, he wants to help others become more comfortable with cosplay, and themselves. Throughout 2016 to 2017, he has had the privilege of being cosplay guests at conventions in Canada, United States, Asia, Mexico, Latin America, Europe, and the Middle East. He has international WCS/Yamato Cup experience, MC experience, and loves to hold panels about cosplay positivity. Phil's ultimate goal for cosplay is to be able to inspire, and support others to make them experience the same feelings he had (and still has) when he first started cosplay.